Christopher Coleman was a Lecturer in History at University College London, where he remains an Honorary Research Fellow of the Department of History. He is involved in research on the career of Sir Robert Mond and the related work of several of his associates, especially that of Oliver Myers and Hans Winkler at Armant and in Egypt’s Eastern and Western Deserts. He founded Bloomsbury Summer School in 1990 and it soon became the most successful organisation of its kind in the United Kingdom. Through BSS he has made significant financial (and other) contributions to a wide range of research projects in Egyptian archaeology and related subjects: expeditions to Hierakonpolis, Zawiyet Sultan, Saqqara, Mo’alla, Abydos, the Abu Tartur Plateau, Mendes, the royal tombs KV5 and KV39 in the Valley of the Kings; as well as the Centre for Alexandrian Studies; the Amarna Royal Tombs Project; the Amarna Trust; the Theban Mapping Project; the Manchester Egyptian Mummy Project; the Western Sahara Geo-Archaeological Survey; the University of Oxford’s Griffith Institute; UCL’s Petrie Museum of Egyptian Archaeology; the Rock Art Topographical Survey; the Palestine Exploration Fund; the Egypt Exploration Society; the German Archaeological Institute (DAI); the Gebel el Silsila Project; the Colossi of Memnon and Temple Conservation Project at Kom el Hettan; and The Holt Festival 2014: Egypt through the Artist’s Eye Exhibition and Lecture Programme. 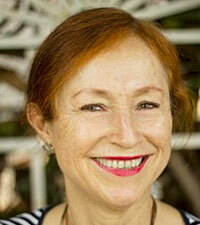 Lucia Gahlin has directed numerous highly successful courses for BSS. She has been running BSS since 2009, and has played a role in its organisation since 1994. She is an Honorary Research Associate at UCL’s Institute of Archaeology, and lectures widely on Ancient Egypt. She leads regular archaeological tours to Egypt (including for Andante Travels). She has a long-standing association with UCL’s Petrie Museum of Egyptian Archaeology, and has worked particularly on its material from Amarna. She is Chair of the Friends of the Petrie Museum, and has been a Trustee of the Egypt Exploration Society. She has worked as Small Finds Registrar at the archaeological site of Tell el-Amarna in Middle Egypt. 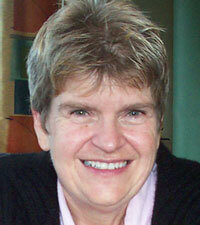 Her publications include Egypt: Gods, Myths and Religion (2001) and chapters in Wilkinson, T. (ed.) The Egyptian World (2007). Elizabeth Baquedano is an Honorary Senior Lecturer at University College London’s Institute of Archaeology, where she also obtained her PhD. She is currently involved in research on Aztec Gold. Elizabeth gives regular gallery talks and lectures at The British Museum and around the world. Her publications include Tezcatlipoca: Trickster and Supreme Deity (University Press of Colorado, 2014), Aztec Sculpture (British Museum Publications, 1994), and chapters in Living with the Dead: Mortuary Ritual in Mesoamerica, ed. J. Fitzsimmons and I. Shimada (The University of Arizona Press, 2011). Bernadette Brady is a Cultural Astronomer with a PhD in Anthropology. 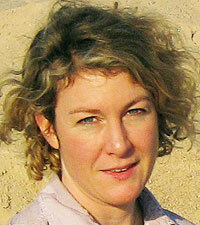 She is a tutor for the MA in Cultural Astronomy at the University of Wales Trinity Saint David. Her research interests include naked eye astronomy; the role of the sky within cultures (from ancient to modern); cosmologies and archaeoastronomy, including Celtic cosmologies, Egyptian astronomy, and Egyptian stellar theology. 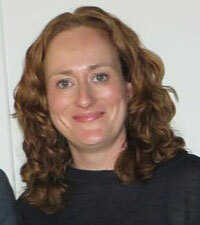 Iwona Kozieradzka-Ogunmakin is Honorary Academic Curator of Human Remains at the Manchester Museum, and a bioarchaeologist, specialising in human remains, with research interests in funerary archaeology and human-environment relations pertaining to health, subsistence and migration in the Nile Valley. She holds a M.A. in Archaeology from the Adam Mickiewicz University in Poznan, an M.Sc. 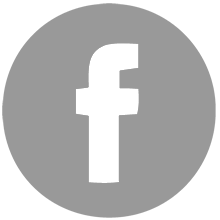 in Human Osteology and Funerary Archaeology from the University of Sheffield, and a Ph.D. in Bioarchaeology from the University of Manchester. Over the last 16 years, she has worked extensively in Egypt and Sudan in collaboration with international research teams, investigating various aspects of life and death of ancient populations. She is a Marie Curie Research Fellow at the University of Warsaw, conducting research into environmental changes and the collapse of the Nubian Kingdom of Meroe in Sudan. 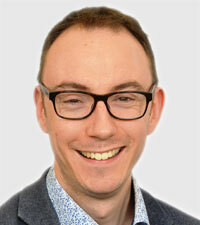 Lloyd Llewellyn-Jones is Professor of Ancient History at Cardiff University. His research focuses on ancient socio-cultural history, east-west relations in antiquity, ethnicity, women’s history and gender-issues, as well as dress and visual culture. His book Aphrodite’s Tortoise: the veiled woman of ancient Greece has won critical acclaim. For more than a decade he has researched ancient Iran, especially the history and culture of the Achaemenid period (559-331 BCE), and is now one of the few scholars to work on the pre-Islamic period of Iran’s history. His publications include Ctesias’ History of Persia: Tales of the Orient and King and Court in Ancient Persia 559-331 BCE (both have been translated into Persian). He often travels to Iran and is engaged in a British Consul programme linking UK and Iranian universities. 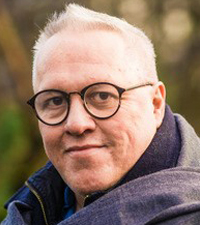 Bill Manley is a best-selling writer, who teaches Egyptology and Coptic at the University of Glasgow, and works with archaeological projects in Egypt. He was Senior Curator for Ancient Egypt at National Museums Scotland, and has taught hieroglyphs at Bloomsbury Summer School for twenty-six years. His best known books include The Penguin Historical Atlas of Ancient Egypt (1996), How to Read Egyptian Hieroglyphs (1998, with Mark Collier), Egyptian Hieroglyphs for Complete Beginners (2012) and Egyptian Art (2017). He has spoken at various international book festivals, including The Sunday Times Literary Festival. His specialist output includes many other books, catalogues, articles and exhibitions covering such diverse subjects as ancient texts, the history of Egyptology, gold jewellery, the archaeology of Palestine, and the world’s earliest philosophy. Bill is an Honorary Research Fellow at the University of Liverpool, Honorary President of Egyptology Scotland,and Co-Director of Egiptología Complutense along with Dr José-Ramón Pérez-Accino. Lidija McKnight holds a B.Sc. in Archaeology from the University of York and a Ph.D. in Biomedical Egyptology from the University of Manchester. She conducts research into human and animal mummification, particularly through the application of non-invasive radiographic imaging and enhanced visualisation techniques. In 2010, Lidija founded the Ancient Egyptian Animal Bio Bank, and she has since researched collections worldwide, currently totalling some 1100 votive animal mummies in 70 museums. Lidija is currently undertaking research funded by the Arts and Humanities Research Council into so-called ‘fake’ animal mummies, to assess their role and function as votive offerings. 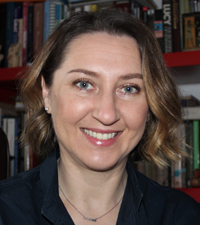 Lidija is Honorary Curator of Archaeozoology at the Manchester Museum, and is project curator for the touring exhibition ‘Gifts for the Gods: animal mummies revealed’. 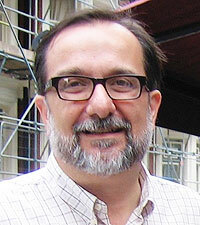 José R. Pérez-Accino is Assistant Professor of Egyptology and Ancient History at the Universidad Complutense of Madrid. He specialises in Egyptian literature, texts, and the intellectual world of the Ancient Egyptians. He conducts fieldwork in Egypt including at Ehnasya el-Medina (Herakleopolis Magna) and Western Thebes, and has taught Egyptology for the University of London’s Birkbeck College and University College London. He has directed many highly acclaimed courses for BSS, often regarded by our students as the most challenging and thought-provoking courses we offer. 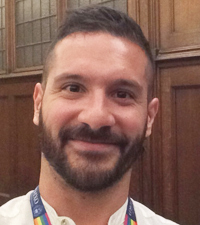 Luigi Prada is a Research Fellow for the British Academy and a Supernumerary Fellow in Egyptology at the University of Oxford (Faculty of Oriental Studies and University College). He is also a Trustee of the Egypt Exploration Society and the President of ACME (Society of Friends of the Egyptian Museum in Turin). He was educated in both Egyptology and Classics, firstly in Italy and then in Oxford. He works primarily on textual and historical studies, but he is also active in the field, both in Egypt, where he is Assistant Director of the Oxford Expedition to Elkab, and in Sudan, where he is part of Dr Vivian Davies’ mission for the Sudan Archaeological Research Society. Campbell Price is Curator of Egypt and Sudan at the University of Manchester’s Manchester Museum, one of the UK’s largest Egyptology collections. He has a PhD in Egyptology from the University of Liverpool, where he is an Honorary Research Fellow. He has lectured widely throughout the UK, and around Europe. Campbell has participated in fieldwork in Egypt at Zawiyet Umm el-Rakham and Saqqara, and at the Egyptian Museum in Cairo. 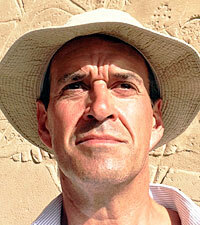 His research focuses on élite monuments of the First Millennium BC, and the representation of ancient Egypt in museums. His publications include a co-edited volume Mummies, Magic and Medicine in Ancient Egypt (Manchester University Press, 2016) and Pocket Museum: Ancient Egypt (Thames and Hudson, 2018).